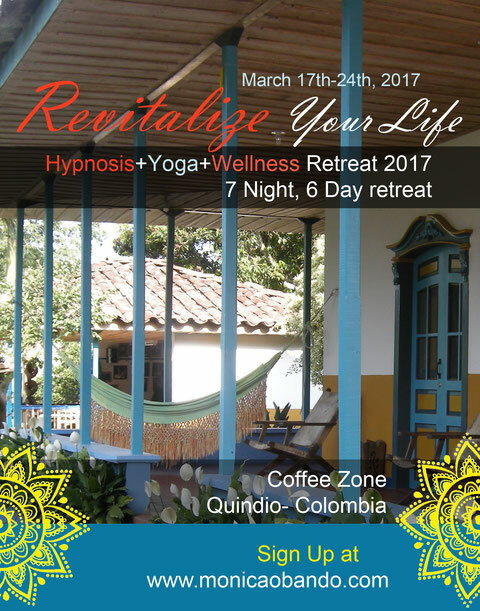 Embark on a journey to the beautiful, colorful, friendly, welcoming, fun, energetic and lovable Colombian Coffee Zone of Armenia in South AMerica, for a week of hypnosis and yoga with Monica Obando. Spend your days in this undiscovered paradise practicing yoga and hypnosis on the stunning outdoor colorful gardens or indoor warmth atmosphere to restore balance and wellbeing to the mind, body and spirit. Between classes enjoy the many ecological trails and outdoor adventures and trips to the Coffee Park; Panaca a farming theme park where you can enjoy nature, and the botanical and butterfly gardens. 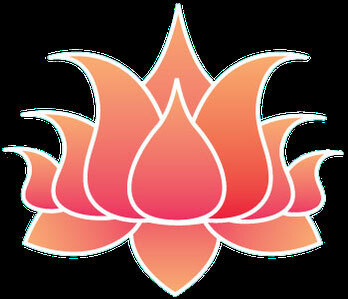 This piece of heaven will inspire you to breathe, move and receive the peaceful energy that you deserve! The great architecture, design and sobriety of its buildings contrast accordingly with the wonderful place that ecotourism tinged with the natural environment, colorful gardens, recreation areas and spacious comfort, give the place the great atmosphere to provide visitors a pleasant stay, tranquility and pleasure to rest. The region has a pleasant climate, an average temperature of 21 degrees Celsius and MSN of 1.294 altitude. A $750 non-refundable deposit per person is required to reserve your space for this retreat. All payments should be made to Monica Obando in the form of credit card or check. Final Balance Policy: Final payment must be received by January 15/2017 in order to be eligible for the *early bird pricing and is non-refundable. Cancellation Policy: The remaining payment balance of the retreat package is due by January 15/2017. If space is available and you are registering after January 15/2017, payment in full is required at the time of registration. All payments are non-refundable. Prices do not include airfare or transportation. The demand for spots at Monica Obando Wellness Retreat is extremely high; therefore, all payments are nonrefundable. Travel Insurance: Please make very certain that the dates and time commitment to this retreat will work for you before sending any payment. In the event that you need to cancel because of unexpected circumstances, and as a general practice, we highly recommend that you protect your investment with travel insurance for your trip. To purchase travel insurance you can go to http://www.travelinsurancereview.net/get-a-quote to compare prices for trip insurance or you can go to Travelex and World Nomads that are two reputable organizations for worldwide travel coverage. Colombia, the only risk is wanting to stay! Please download te Reservation form and follow the instructions. Monica Obando Hypnosis Reservation Form.